Click on the Images for More Pictures of the Sets! My collection of plushies will be listed from oldest to newest. 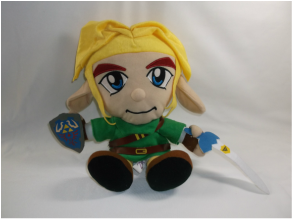 Other Info: This plush stands at about 12.5'' tall. 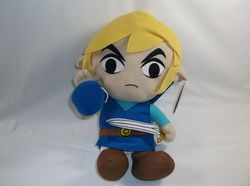 Game Title: The Legend of Zelda: Minish Cap, and The Legend of Zelda: The Wind Waker? 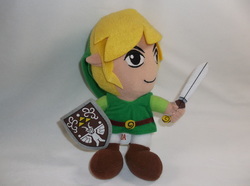 Other Info: Looks like a smaller version of the Four Swords Green Link Plush. 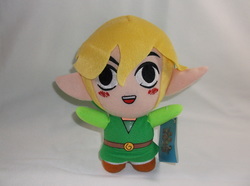 However, the tag shows an image of Minish Cap Link as well as a portrait of Tetra's Pirate Gang from The Wind Waker.